A newsletter is a powerful marketing tool that can help you to increase the number of users and boost your sales: its effectiveness has been proved through the years, and even with the rise of social media marketing it hasn’t lost its value. But how do you properly send a newsletter? A question that may sound silly, but it’s actually not. First of all you need to collect a database of permission-based addresses. Avoid sending your bulk message to accounts that didn’t give you the authorization to do it: it’s just spam, and it will hurt both your reputation and your business. (Instead, put a sign up form on your website). Then you have to create the email. If you use a professional software, it’s definitely easier: you can choose an HTML template that can entice the users and fill it with your content (that is, with your offer or promotion or the news you want to share). 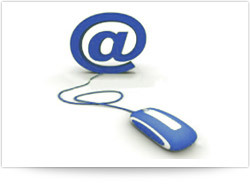 Finally – and here we are – it’s time to send the bulk email to all your contacts. 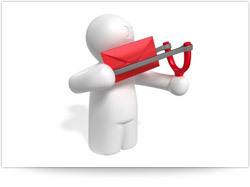 Which is a delicate issue: to ensure that all your messages get to the users’ inboxes you should not only use a reliable software (like SendBlaster), but also use a professional SMTP server – that is, a service that maximes the capability of your email to be correctly delivered. This combination – a professional sending tool and a delivery service – is definitely the most advisable method to mail out your newsletter.